Margaret Caldwell and the Adventist school. Who was Margaret Caldwell, and when did the Seventh Day Adventist Church begin operating a school? The Seventh Day Adventists established a congregation in Wilson prior to 1920. 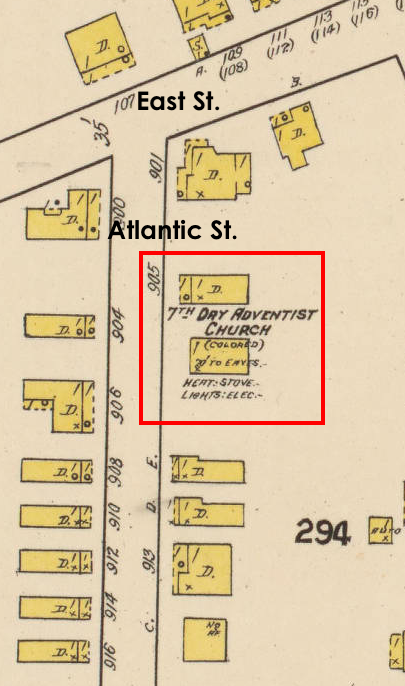 The 1922 Sanborn fire insurance map of Wilson shows the church at an unnumbered address beside a house at 905 Atlantic Street. The school, presumably, occupied the same building. 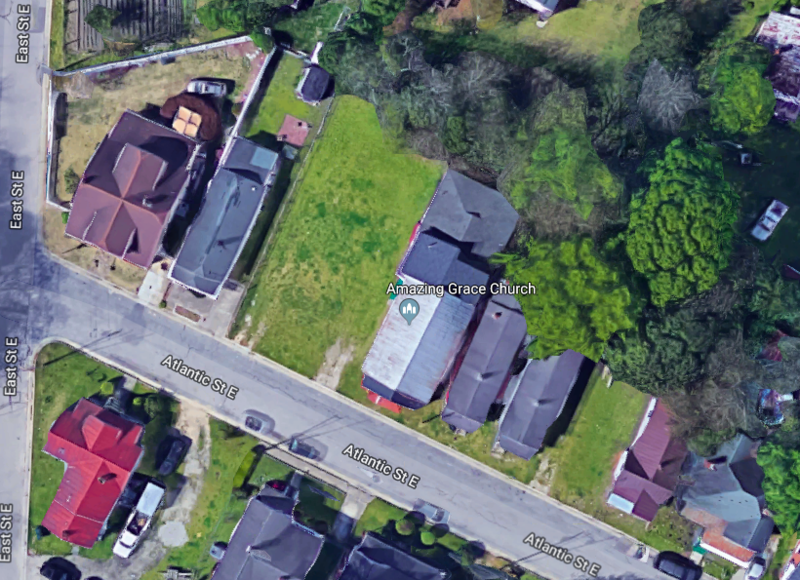 In the 1930 city directory, Margaret E. Caldwell is listed as a teacher at the Seventh Day Adventist school, and her residence was at 1109 Atlantic (which was the home of Lehman and Nancy Woodard Barnes.) 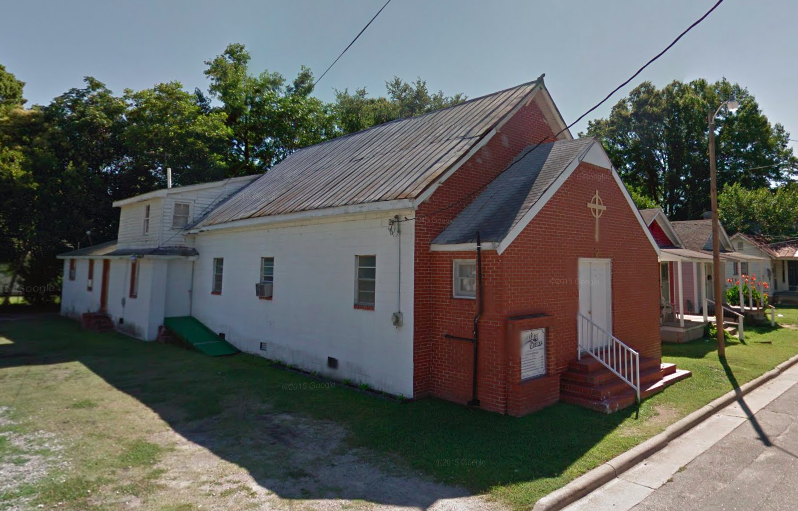 The church was listed at 907 Atlantic Avenue, with Napoleon Smith as pastor. 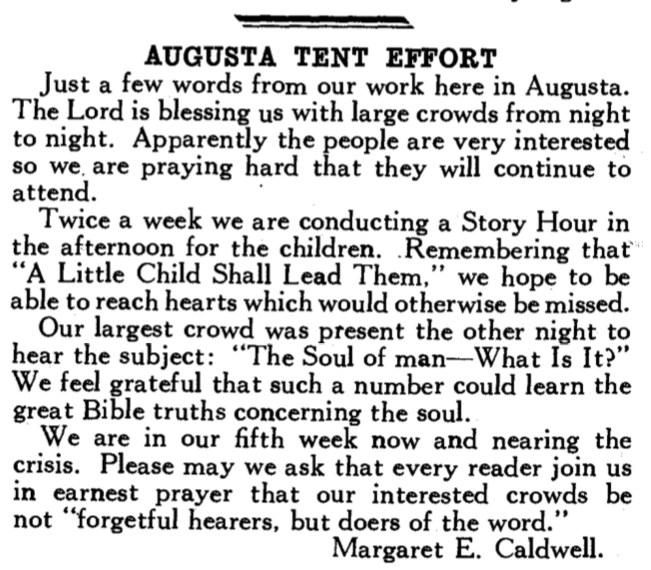 In its 8 December 1937 issue, Southern Tidings noted that Caldwell was heading a colored church school in Jacksonville, Florida. Mount Hebron Seventh Day Adventist Church continues to operate a school at 700 South Pender Street. The Atlantic Street location is now home to Amazing Grace Church. ← 915 East Vance Street.